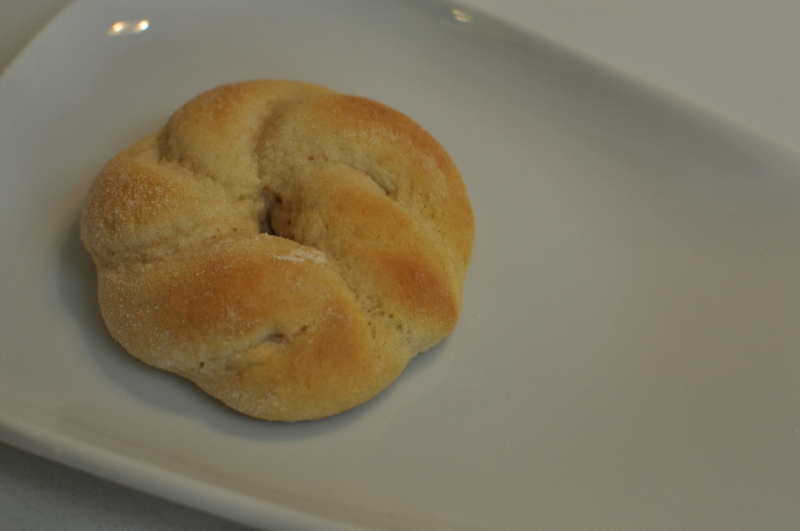 The in-laws made another journey down to help us with some household projects, enjoy some fun Halloween activities, and to teach me the Norwegian art of making kringla. 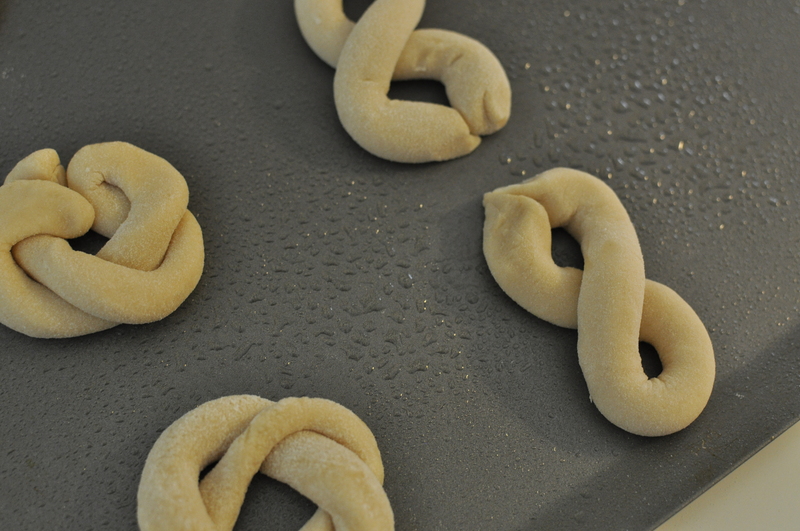 My mother-in-law is Norwegian and has come from a long line of kringla-making family members. It was my turn. 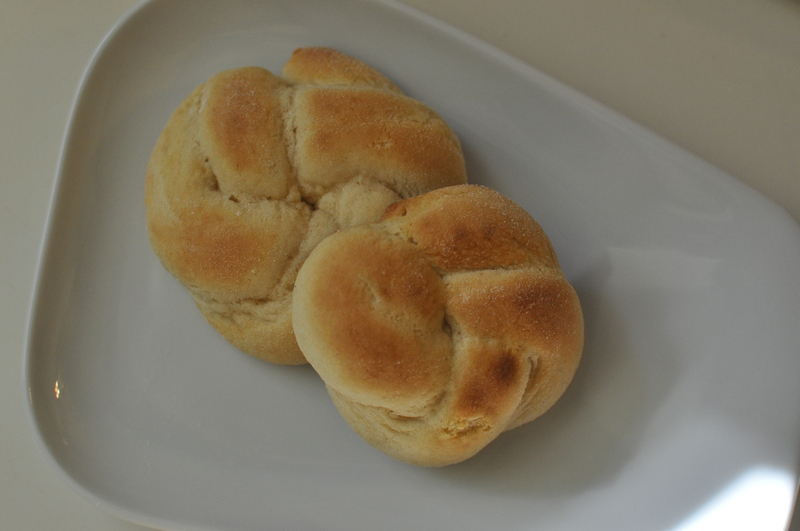 This fabulous floury cookie is wonderful with coffee and milk! 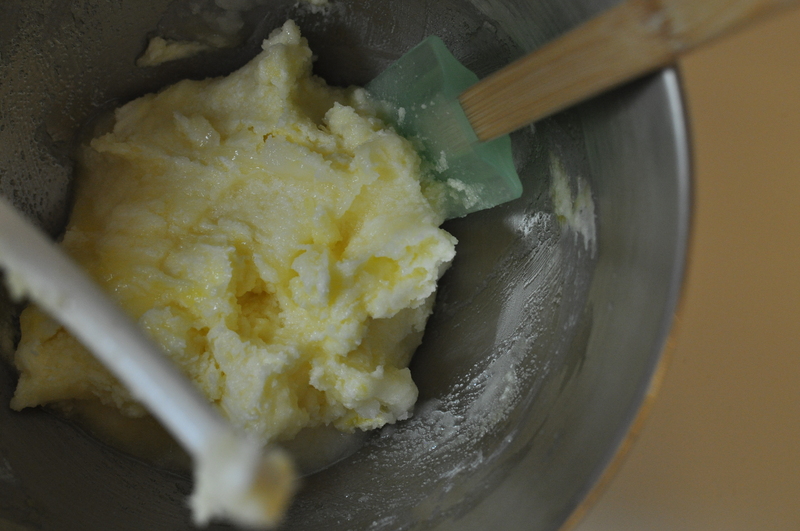 Start by creaming sugar, butter, eggs, and salt. 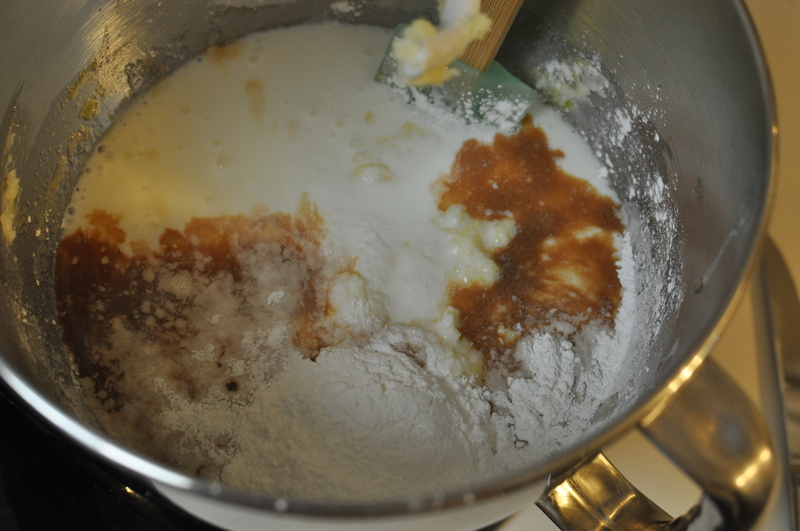 Add buttermilk, vanilla, baking soda, baking powder, and flour. Mix well. Don’t be afraid of over mixing! 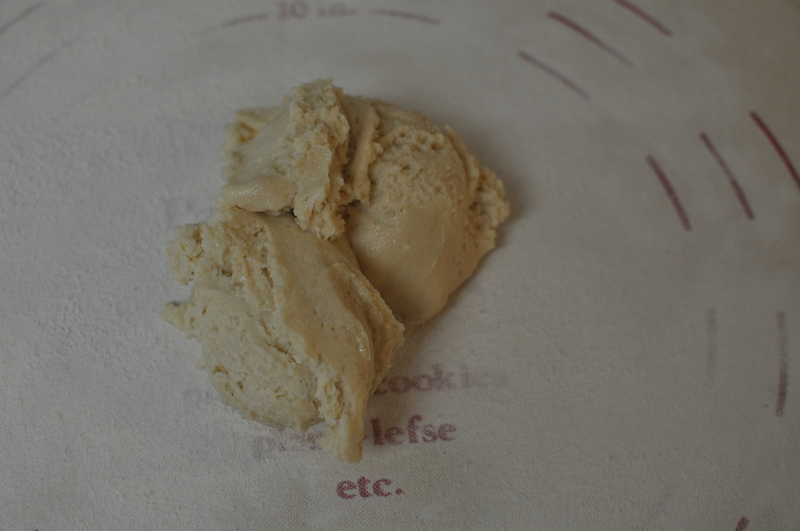 Make sure to mix everything well, especially the butter. Put mix in refrigerator overnight or until cold. 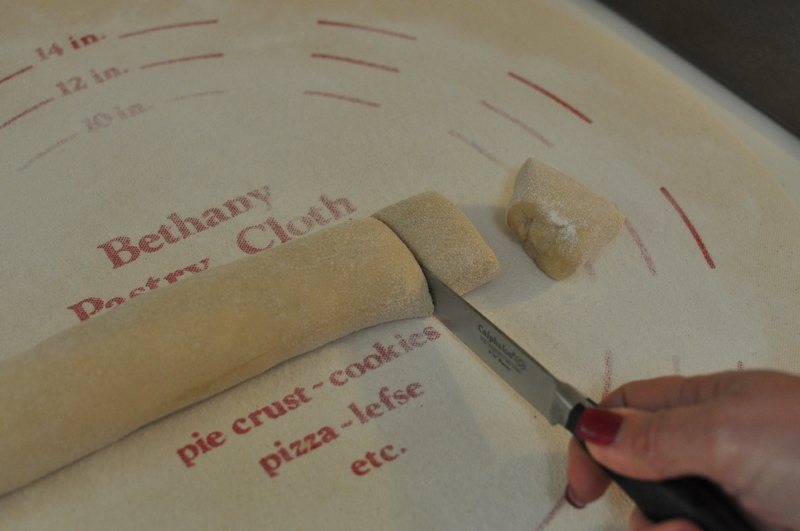 Once the dough has chilled, roll dough on floured cloth. 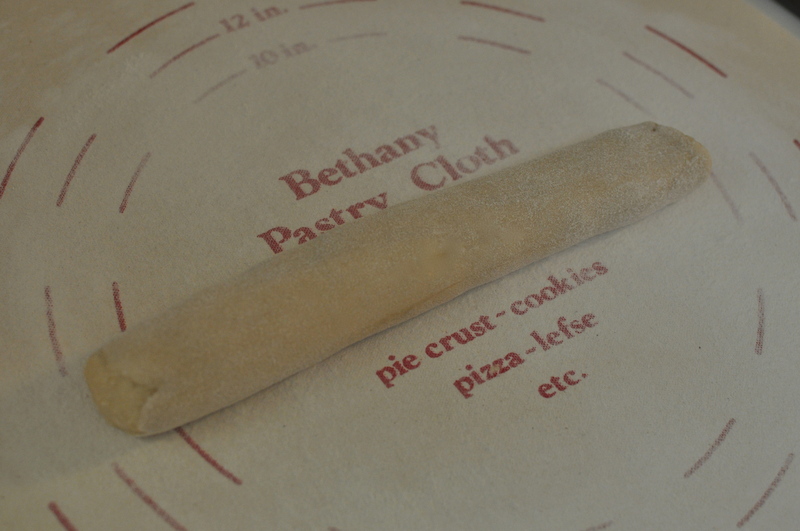 We used a Bethany Pastry Cloth. 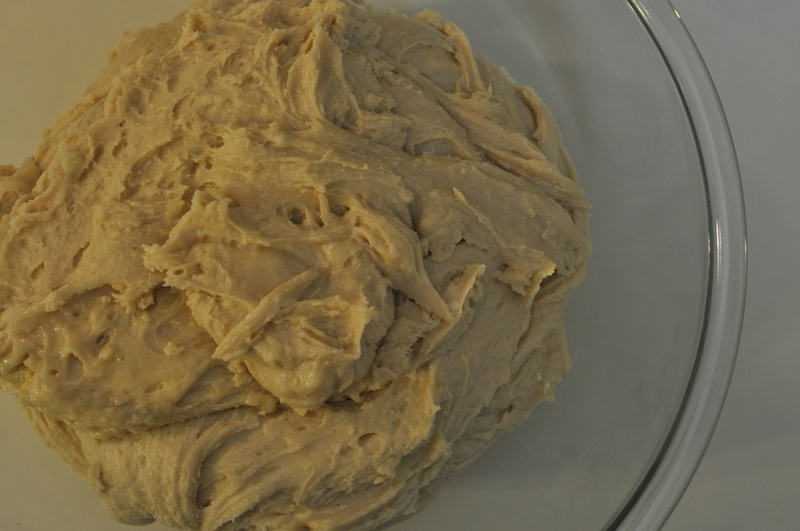 Start by spooning out about 1 cup of dough and rolling it into a ball with floured hands. 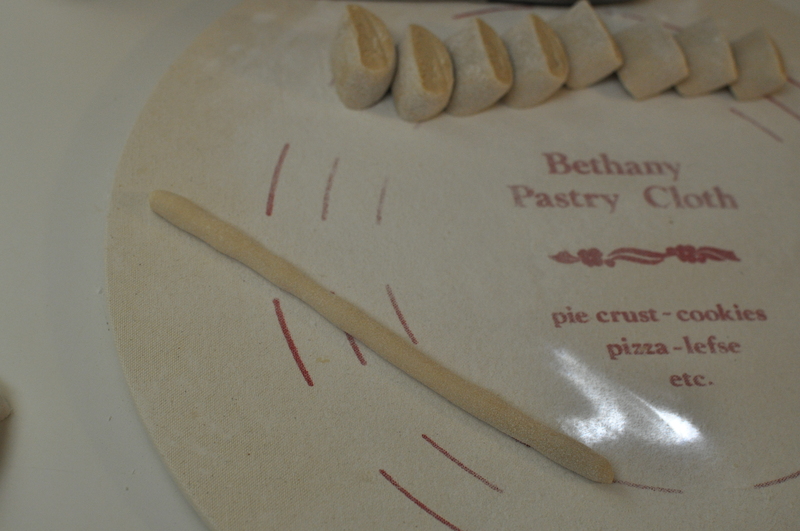 Then roll the ball into a log roll that is about 1″ thick. 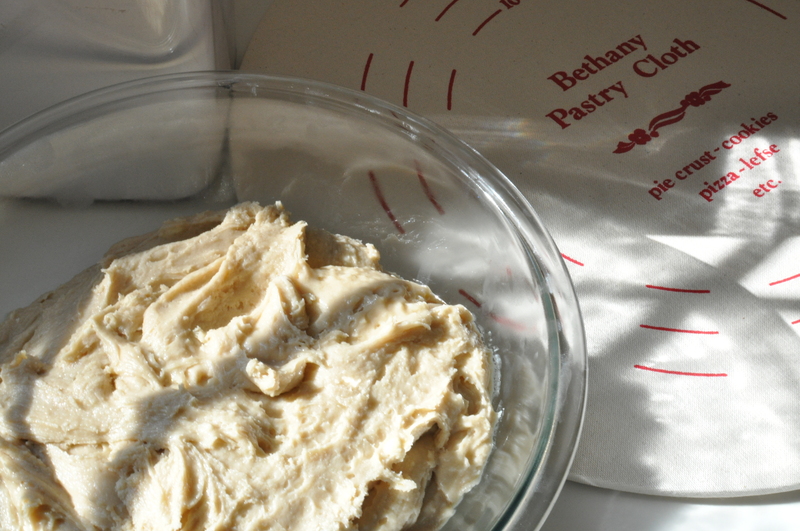 Place the rest of the dough back into the refrigerator. Cut log roll into 1/2 inch sections. Roll sections into about 8 inch lengths or the size of a pencil. 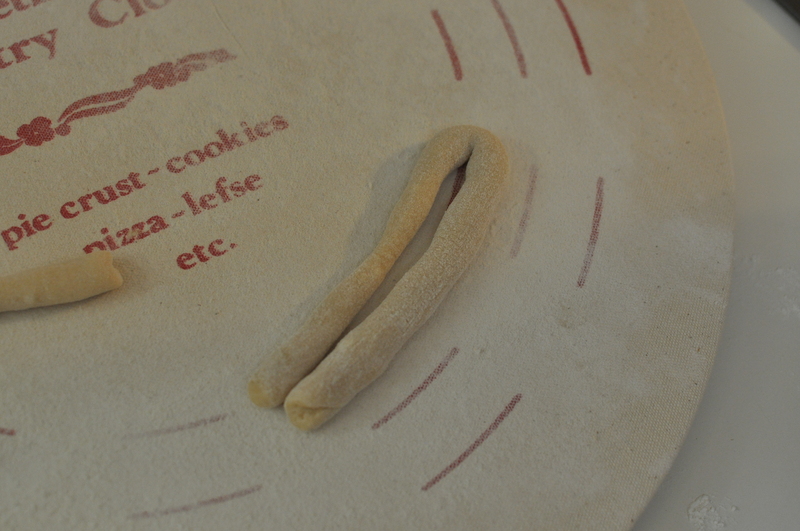 Then fold the “pencil” dough in half. 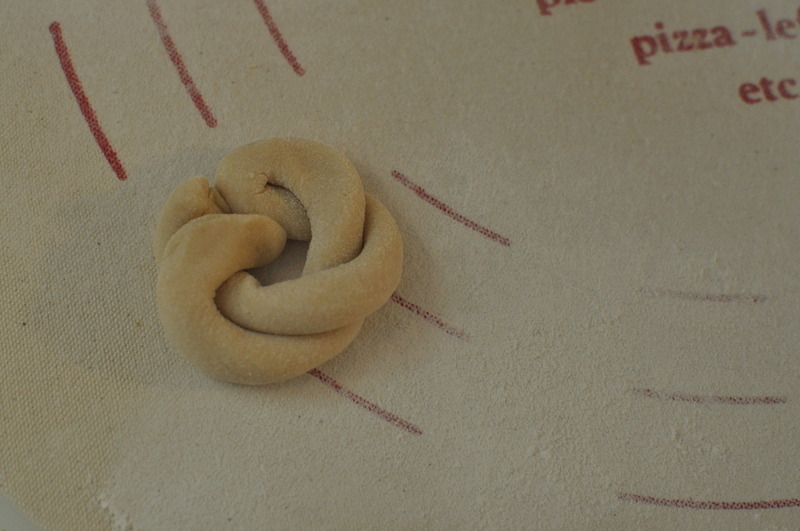 Twist and form a circle! The wreath or infinity are the most common shapes in our household. 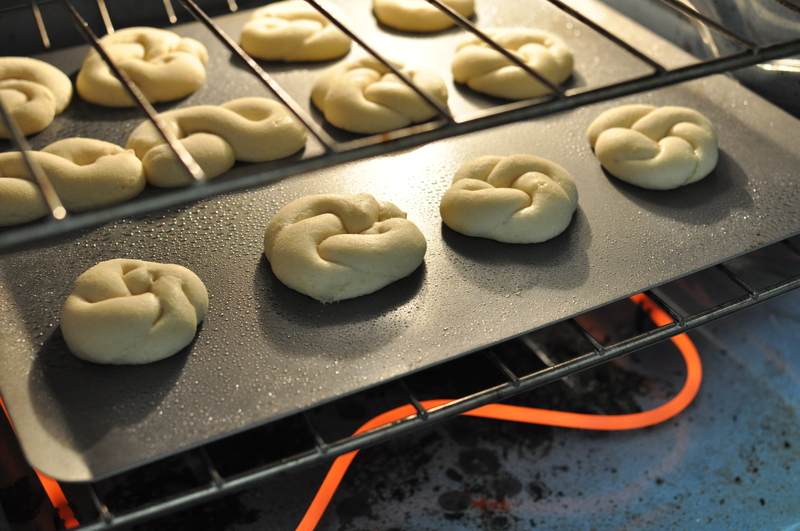 Bake on greased cookie sheet at 450 degrees until they puff up (about 2-3 minutes). Then put them under the broiler until they are light brown on top! Watch very very closely on this process; you can burn them in seconds! Trust me! This is one of those floury, semi-sweet gems that taste so good as a snack, or for breakfast or dessert. My mother-in-law even suggested giving them as Christmas gifts! What a fun idea. Thank you to Julie for sharing her skills; I think all the photos above were of her cookies. Ha. 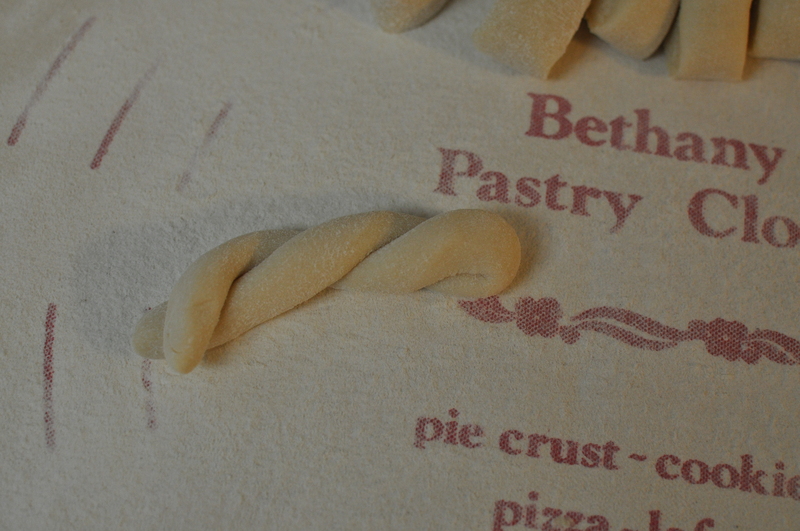 But don’t worry if they don’t look perfect, they still taste great!